My refrigerator smells like a hangover. Thanks so much for all the great birthday wishes yesterday, everyone! I had a really enjoyable birthday and the well-wishes definitely contributed. I kicked off the day watching Quentin Tarantino’s Inglorious Basterds. I’m a big Tarantino fan, and I think Brad Pitt and Eli Roth are really cool, but, if you’ve ever watched somebody else fill out forms in triplicate or tie their shoes really slowly, then you’ve basically already seen this movie. Creative cinematography, amusing character concepts, good directing, and good acting could not save the dullness of Inglorious Basterds. The flick seemed like it had a host of nifty little Easter egg sort of factoids for film students, but I didn’t find that aspect gripped. Still, I’d been meaning to watch it, so getting to was still a good thing. Then I learned how to make slow-roasted barbecue ribs. The reason my refrigerator still smells like a hangover is that, after I did the dry rub portion of the process, Jack Daniels figured prominently in the recipe I put together. It was more challenging than I expected to put together a ribs recipe because barbecue is more regionally variable in the United Stats than I had had any idea. According to Amazing Ribs, one of the most useful sites of the many I referenced, there are twelve distinct styles of barbecue saucing and spicing. I decided I wanted to use honey as part of my recipe. Some years ago, I used to take honey in my morning iced latte, and I bought some really delicious raw gourmet honey. I eventually cut it out, because I was trying to lower my calorie and sugar intake, but I still had most of a container sitting in the fridge. The honey still smelled as delicious as the day I bought it and it looked the same. So I asked the internet how long does honey keep before it goes bad. Barroom trivia question: What is the only food which never ever goes bad? Answer: You guessed correctly, if you assumed from context (or already knew) that the answer is honey. People have been able to enjoy eating (and successfully digesting) honey from 5,000-year-old pyramids. I topped off the evening watching Sylvester Stallone’s The Expendables in my first pick for seats at my favorite theatre in Hollywood. I don’t go out to the movies very often. I like to be able to stop the action and comment on what is going on to friends, without missing anything. I like to be able to take a break and go to the bathroom in the middle. I like to eat the snacks I would choose to eat on purpose. And I don’t like being required to wear pants. But I felt it was worth it to see an action movie opus like this on the big screen. I was not disappointed. A really fun movie, which delivered what it promised, and managed to be more clever and more political than I expected, without losing anything in the fun department. 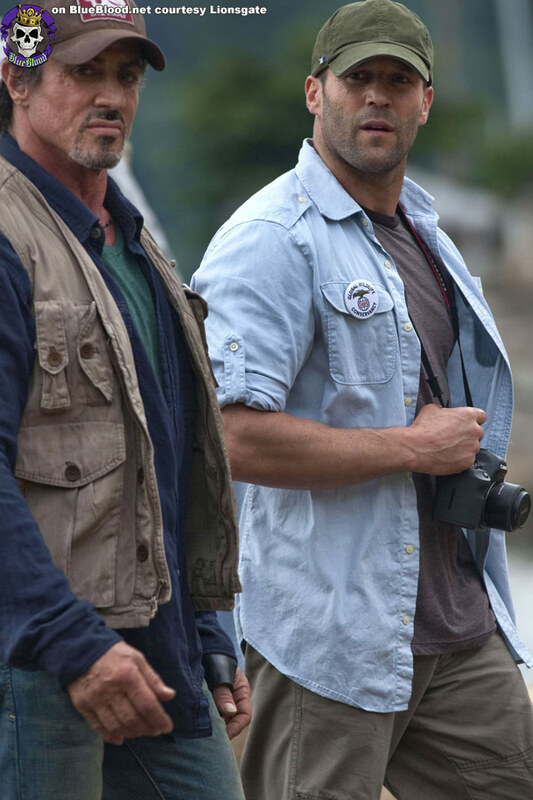 In addition to the quips and the blowing stuff up nicely, there was some really hot men’s fashion in The Expendables. Canon, my preferred brand of camera for everything I shoot, had some sweet product placement. I could wish for maybe some more fully realized female characters, but it is not like that was on the menu going in. If you like knives, guns (including an auto shotgun! ), things blowing up, martial arts and . 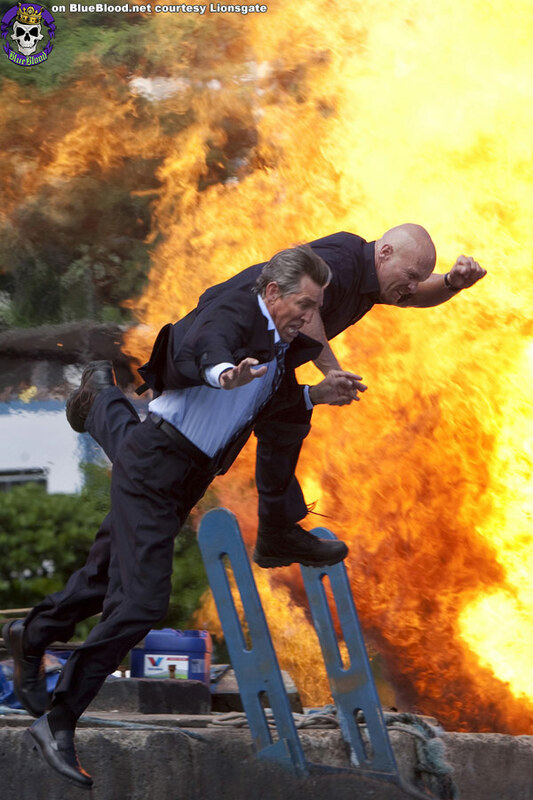 . . well, basically, if you like action movies, then I highly recommend The Expendables. Keanu Reeves in a live action Cowboy Bebop?